← Does Woody Allen need a Sales Coach? Qualifying a lead and deciding if an individual or business will make a purchasing decision goes to the heart of a strong business. online things about you ad well) and using this information tries to predict what you are interested in and will buy. Using this prediction it then serves up advertising based on a complex mathematical formulae. Influencing a decision to purchase and closing a deal is a complex interaction. Trying to predict consumer behaviour and interest based on email, online content viewed and other empirical and measurable data is at best a blunt instrument. It would be nice to think a simple formula could predict all outcomes. I suspect Google has a lot more work to do. Ouch. He had asked the one question sales people hate to hear – and it can come from many quarters. When I get home I tell my wife about the opportunity and get the same question “Is this a real opportunity?” as she knows how many late nights I will need to work to win the deal and is already planning on how to spend the commission. “Is the opportunity qualified” is probably the most important question you need to ask, yet is also the most difficult to answer. Qualification is all about the close-ability of an opportunity. You are determining if the person or company you are selling to will make a decision to buy something. Once you determine they are likely to buy something, then you determine if you or your company can deliver the product or service in a way the customer will want to buy. Qualification, depending on what it is your are selling, will include emotional, practical, financial and logical components and you need to know where you stand in all four areas. The larger and more complex an opportunity the more effort needs to go into understanding each aspect of the opportunity. 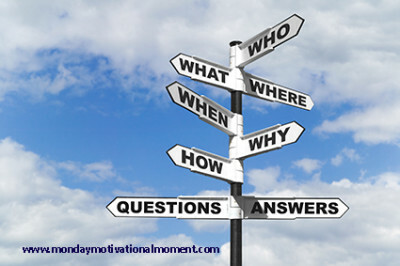 Qualification, based on the answers to your questions, will give you an answer to the close-ability of the opportunity. This, in turn, will determine the amount of effort you will put into developing and closing. Before I pick up the telephone to make my first call I like to have established in my mind a potential need. I can usually determine this with a bit of research and using information I glean from people in similar roles. Recent research has shown most people make a decision who they want to buy from after the first or second sales call. From then on most ales activity is around helping a client make a decision to buy from you. The single reason many sales people fail is that they do not invest enough time and effort understanding their client before they pick up the telephone for the first time. Now you have made the appointment and are in front of your prospect Qualification is about understanding how you and your organisation fits the opportunity and how well your client is prepared to accept help. Using questions starting with these words you can open and keep the conversation going with your client. The last qualification questions are the most important. You need to determine if the person you are dealing with has the means to make a decision and if not who else do you need to be speaking with. Qualification is all about determining the close-ability of an opportunity. This week, when you meet with clients, or indeed anyone you wish to influence, invest time using the six serving men and listen carefully to the answers. You will be surprised how long a person can talk about themselves and their company. As long as you focus on them, and keep the questions open, they will eventually tell you everything you need to know. Using the answers to some basic questions you need never fear the question “Is it Qualified” as you will have the answer. This entry was posted in Monday Motivational Minute and tagged closing, listening, qualification, sales. Bookmark the permalink.